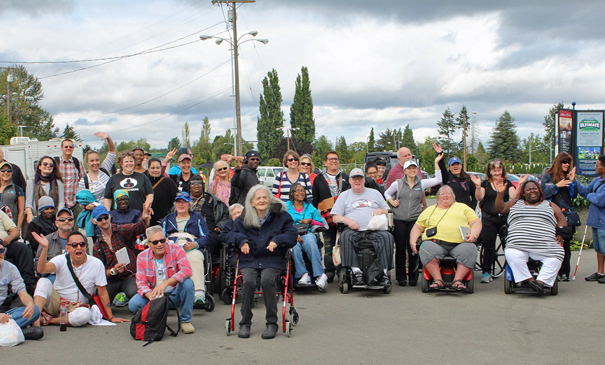 “This was one of the best days of my life,” says a Bailey-Boushay House (BBH) client about a special trip to the Puyallup Fair. Recreational therapists Sofia Foster, Sandra Morrow and Amy Harris met daily for weeks to plan the event for 88 clients and residents accompanied by 21 staff members and three volunteers. They rented a charter bus and three wheelchair accessible shuttles, and worked to make sure each client would enjoy the fair.